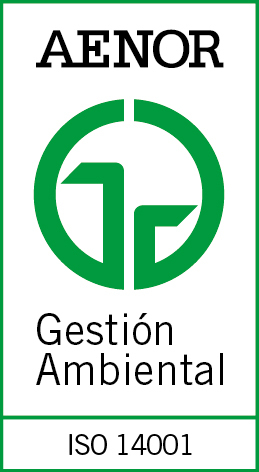 The main objective of Avícola de Galicia is to conduct these activities committed to complying with the legal requirements applicable as well as with any other that the organization may subscribe to, with the maximum quality levels in order to ensure production of safe foods, taking on board as differentiating values respect and care of the environment and of animal welfare, with the technical capacity, intelligence and imagination, along with innovative solutions that allow the company to rank itself in the best position on the market, channelling its efforts towards identifying and complying with the requirements and needs of our customers. Environmental achievements During 2018, and the past years as well, Avigal has come to achieve a sensible use of natural resources, water and energy consumption. Thus have located us under the industrie's general rates. General objectives The Policy of Quality, Food Safety and Environment are part of the company's global policy. Through guidelines and methods defined in the context of its Integrated Management System, Avícola de Galicia sets out to achieve its objectives. Abiding by this Policy and taking responsibility for all in its implementation is a vital requirement for fulfilling our mission and reaching the objectives marked out. IFS International Food Standard: Food security management systems. UNE-EN ISO 9001:2008.Quality Management Systems. UNE-EN ISO 14001:2004. Environmental Management Systems. UNE-EN ISO 22000:2005. Food Safety Management Systems. Compliance with the requirements of customers.